Give a Gift now and save 33% off the store price! content that inspires creativity through artwork, crafts, recipes, games and party ideas. Create warm memories and experiences with your child through Girls' World. 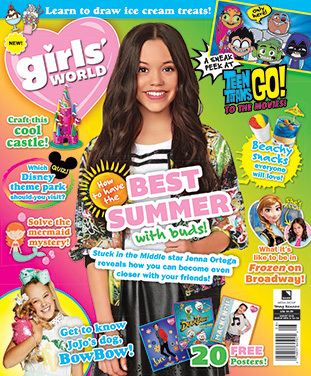 Give your girl the gift of Girls' World magazine! She'll love receiving each issue of Girls' World in the mail, and you'll be happy she's reading a magazine you can trust.